Enjoy exclusive IKYTA-member discounts for inspiring events! Join IKYTA today to access discount codes. 3HO’s Summer Solstice Celebration is a 9-day spiritual gathering in the high desert mountains of New Mexico. It is a rare opportunity to cleanse the mind, go beyond ego and feel your spirit soar! 3HO's Winter Solstice Celebration is a 7-day spiritual gathering in December in central Florida. It is a rare opportunity to cleanse the mind, go beyond ego and feel your spirit soar. 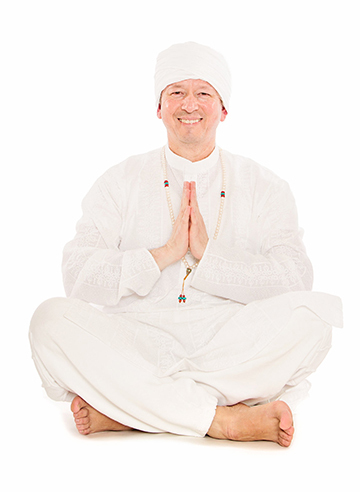 Based on the teachings of Yogi Bhajan, the Winter Solstice experience includes Kundalini Yoga workshops, White Tantric Yoga, Morning Sadhana, Live Kirtan, Community Connection, and the all-pervasive bright, uplifting energy generated by 2000 souls living in their highest consciousness. Renew and rejuvinate in a sangat of spiritual women. Become what you want to become, with support to overcome difficulties. Improve your capability to manage life, build positive character, and remember your invincibility. Finding wholeness in self and community, we reveal our abilities to confront the world as peaceful warriors and serve our souls. Based on Yogi Bhajan's teachings, this experience takes you deep into women's teachings. Camp is held on the beautiful, spiritually charged land of Guru Ram Das Puri in Espanola, New Mexico, USA. Sat Nam Fests are an opportunity to immerse yourself in the joy, transformation, and rejuvenation of Kundalini Yoga, sacred chant, and creativity as you re-discover and return to your true self. Sat Nam Fest takes place twice a year -- in April in Malibu Canyon, CA, USA, and in August in the Berkshires, MA, USA.